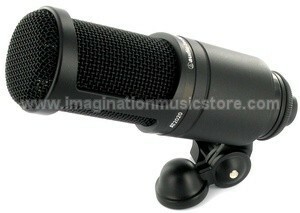 QUALITY & PRICE IN ONE MIC! Stellar A-T performance, outstanding value! The AT2020 gives you classic Audio-Technica sound quality at an incredibly low price! Capture the subtleties and nuances of vocals and acoustic guitars, then take on screaming guitar amplifier cabinets — all with one mic. It’s the Swiss Army knife of affordable condensers! 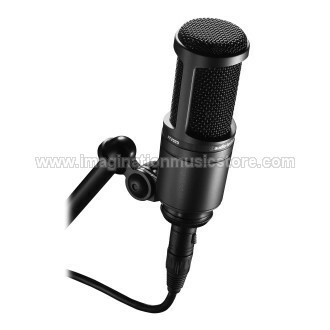 At this incredble price, you can put together your own stereo mic pair! Perfectly suited for today’s home and project studio, the AT2020 was designed to fit comfortably in your mix and your budget at the same time. 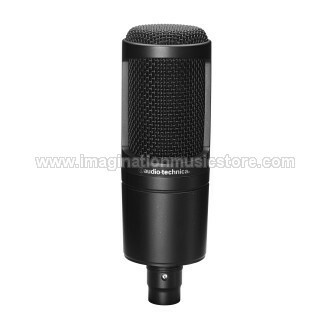 The perfect “first microphone,” we’re sure the AT2020 will fit into your studio! The AT2020: the standard for affordable side address studio condensers.